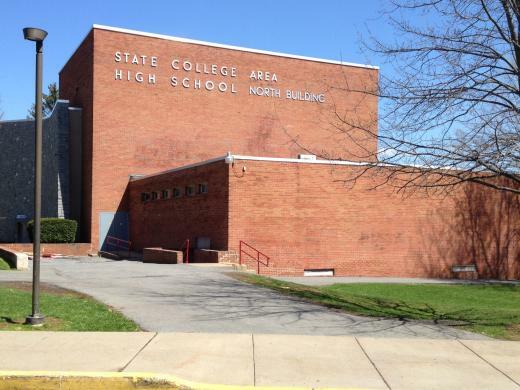 Community members got the chance share their opinions and ask questions about the high school renovation plans at a forum held by State College Area School Board of Directors Tuesday night. Some people expressed concern over the difference in operating costs between the two proposed building plans. Others spoke about a proposal to connect the high school buildings with a bridge. The board is still considering two concepts for the renovations. The first, Concept B, would include additions and renovations to the existing North and South Buildings with a walkway connecting the two buildings. The other option, Concept D, would include major renovations to the South building so that core classes could all be held on the same side of the street. Concept D would also have portions of the North building retained for student and community use. A plan for improving the educational model of the buildings will be presented on Aug. 26. Community member Kelly Loviscky expressed concern not over not the cost of renovations, but rather what it will cost to operate the renovated school buildings. John Beddia, director of operations at Crabtree, Rohrbaugh and Associates, the architecture firm being used by the State College Area School District, said that there is about a ten cent per square foot difference between the two schools in regards to operating costs. "Our engineers have developed some analysis between the two," Beddia said. "[Concept] B has a greater square footage, so it has a perceived cost increase ... B operates at about $1.20 per square foot." Penni Fishbaine, president of the board, also said at the meeting that an idea will most likely be chosen for the renovation on Sept. 9. Council member Tom Daubert spoke out against the idea of putting in an enclosed bridge to connect the schools, saying that even his own children have said crossing the street as the students do now is refreshing. "Kids don't want to feel like they were in some sort of prison," Daubert says. Brace yourself. 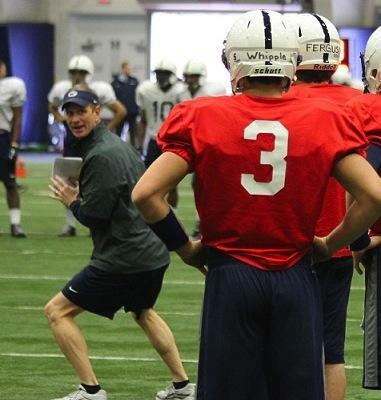 Penn State head coach Bill O’Brien is scheduled for a conference call with reporters at 12 p.m. on Thursday.